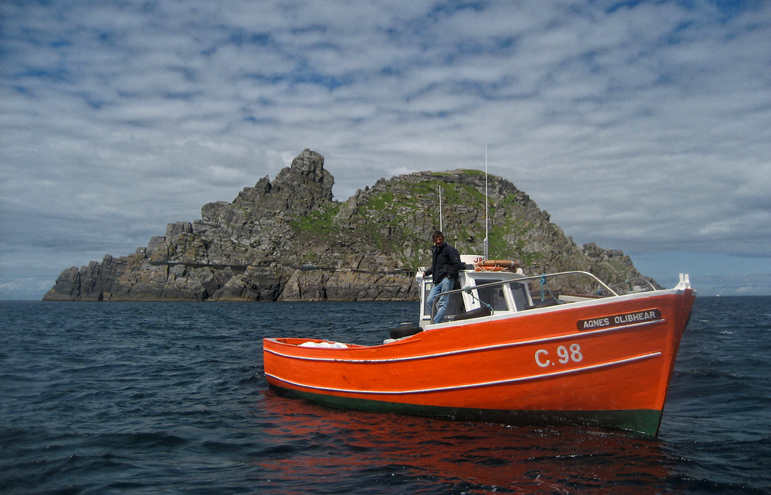 Here is the soaring peak of Skellig Michael rising from the Atlantic Ocean. Here are the soaring peaks of Alderaan, the Star Wars planet that Princess Leia came from. In Star Wars, The Force is a shadowy entity that remains unexplained. And that’s just the start of the mystery in a saga in which Obi-Wan Kenobi is our only hope? Why? Who is he? Skellig Michael is also an enigma. In a 1910 letter, George Bernard Shaw described it as a thing that “does not belong to any world that you and I have lived and worked in: It is a dream world.” Nobody knows why the monks chose such a forbidding outpost to settle in—or why, indeed, they chose to abandon it in the 12th century. 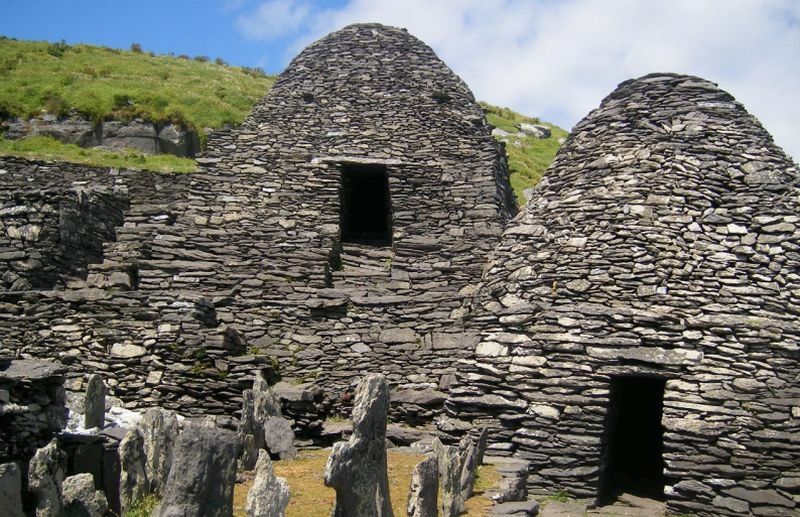 The monks may have been trying to get closer to God by escaping the temptations of medieval on Skellig Michael, but they could not avoid the Dark Side any more than Luke Skywalker could: In the 9th century, rampaging Vikings raided the island, using the steep steps so laboriously built by the monks to gain rapid access to the monastic settlement. Jabba the Hut, Twi’leks, Gamorreans—Star Wars is a veritable menagerie of exotic creatures, but Skellig Michael is a haven for wildlife too. Rabbits and puffins have been known to share burrows, in a display of tolerance worthy of Obi-Wan Kenobi. Star Wars would not be Star Wars without a wise figure mentoring a young and impulsive hero, starting with Obi-Wan Kenobi, who teaches Luke Skywalker about the Force. When they weren’t fending off Vikings, praying, and dangling off rocks in pursuit of puffins, the monks on Skellig Michael spent most of their time studying. Star Wars is set in a galaxy far, far away. Skellig Michael is located in one of the world’s few Dark Sky Reserves, an area with so little light pollution that star clusters and nebulae from the Milky Way and the Andromeda Galaxy are clearly visible to the naked eye on moonless nights. Like the monks, the Jedi lived lives of simplicity in harmony with nature. Jedi masters such as Obi Wan-Kenobi and Yoda lived Spartan lives, close to the land. It remains to be seen whether they ever ate puffins, however. Nobody could deny the power of John Williams’s stirring Star Wars score. Take a boat trip to Skellig Michael and experience the intensifying volume and mind-boggling variety of calls and cries as thousands of birds, from puffins and gannets to terns and fulmars, wheel and dive all around you.